This is the second disc focused on Olivier Darbellay, one of the foremost horn players of our time. The previous disc (CC 72771) was a refined selection of Lieder and Songs for Tenor, Horn and Piano, where Darbellay was teamed with Christoph Prégardien and Michael Gees. This time the repertoire is centred on chamber music for horn from Brahms to the present day. In fact, the disc is a milestone of horn music, featuring the Trio for horn, violin and piano, Op. 40, by Johannes Brahms, followed by a precious and rare gem, the Quatre Petits Pièces for horn, viola and piano, composed by Charles Koechlin in 1920. Two pieces for this rather unique combination of horn and violin by two living composers, Peter Wirth and Jean-Luc Darbellay, round up this unusual and intriguing collection of rare works. "Brahms' Trio Op. 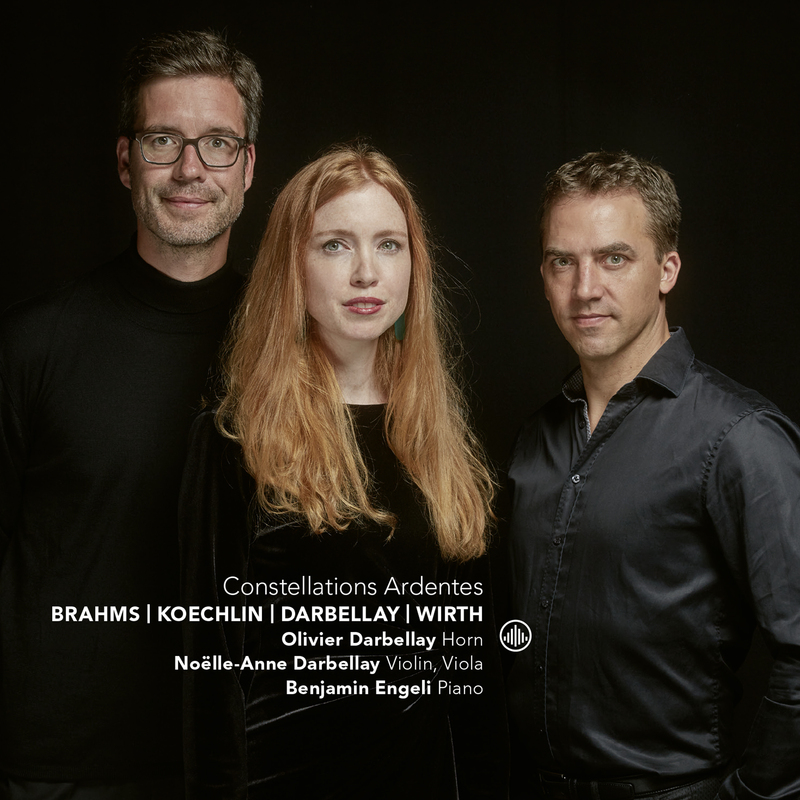 40 is presented by Olivier and Noëlle-Anne Darbellay with an interesting interpretation (three stars)"
"Delightful little gems played here in the composer’s own version with viola replacing violin."